The Blue Ridge Marathon has been a community built and operated event since it’s inception in 2010. Since then, our race has continued to grow and positively impact the entire Roanoke Region, and now that we have more to give…we’re spreading the wealth!! 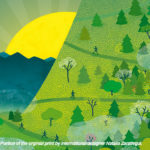 The Blue Ridge Marathon is a 100% non-profit event and all proceeds go to benefit local charities with our main beneficiary being the Friends of the Blue Ridge Parkway. Since our creation we have donated over $185,000 directly to charity and have had an economic impact in the region of $4.5 million. 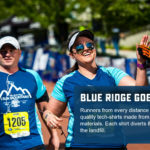 The Blue Ridge Marathon offers 501(c)3 organizations, charities and civic groups the opportunity to use the Foot Levelers Blue Ridge Marathon as a fundraiser! We plan to give back by donating to groups willing to assist by providing 10, 15 or 25 volunteers. The more you recruit the more you earn (10 is the minimum). In order to be considered for this opportunity you must fill out an application with details about your organization by the deadline December 16, 2019. There are limited group incentive slots available (between 10-15 groups total depending on the number of volunteers each group is able to provide). All groups who want to be a part of the Blue Ridge Marathon need to have an excellent understanding of our rules and regulations. Please download the RULES OF THE GAME (READ, SIGN & RETURN)– Volunteer Groups 2018 document to review with your organization before filling out the application. If you feel like the Blue Ridge Marathon volunteer program is a good fit for your group, then click the button below to fill out the application. ALL CHARITY PARTNERS FOR 2019 HAVE BEEN SELECTED AND THE APPLICATION IS CLOSED. If you would like to be added to our list of volunteers and notified when the application for 2020 is live please email our Volunteer Coordinator. For specific volunteer or incentive program answers email our volunteer coordinator. For general questions about the marathon email our event manager.